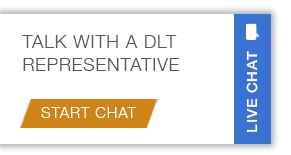 DLT positioned to provide state, local, and higher education customers with quick and easy access to emerging technologies. DLT to serve as distributer to the public sector, offering industry-leading Tripwire software and services on multiple contract vehicles. Federal, state, local and tribal government entities will now have fast and cost-effective means to procure secure and reliable cloud-based Blackboard solutions in AWS GovCloud. Amazon Web Services has introduced a 110-day training program that aims to help public sector partners further develop their skills as they work to support government, nonprofit and education clients in their cloud migration efforts. DLT to serve as public sector aggregator for Appian software and services. DLT named one of three companies included in five - year contract for McAfee - branded hardware, software and services. DLT to serve as Pluralsight’s first master aggregator to the public sector. Re-competed win for DLT and Oracle allows ability to leverage Oracle software and services critical to mission objectives. Partnership will allow DLT to provide LogRhythm NextGen SIEM hardware, software, and support to the public sector.